If you've been searching for the ideal health and wellness primary care provider for your whole family, then look no further. We're delighted to welcome you to the official website for Jones Chiropractic & Acupuncture. We provide a variety of health, wellness, pain management, and rehabilitation services for residents in and around Evansville IN, and we look forward to enhancing your quality of life through these services as well. Please browse this site to learn about what we do for you -- and then contact us we can meet in person. You're in good hands when you schedule an appointment with our Evansville chiropractor, Dr. Corey Jones. Dr. Jones, who received his chiropractic degree (and a Human biology degree) at Logan College, also studied acupuncture with the distinguished acupuncturist Dr. Richard Yennie on his way to certification as a Fellow of the Acupuncture Society of America. This powerful pair of skill sets enables him to offer treatment above and beyond what you might receive from an ordinary chiropractor or acupuncturist. 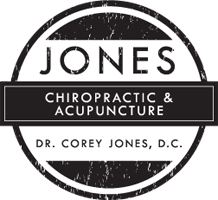 Dr. Jones learned about the power of chiropractic care at a very young age, since his mother worked in a chiropractic office. Today he uses his understanding of holistic medicine to help patients of all ages experience their best health. 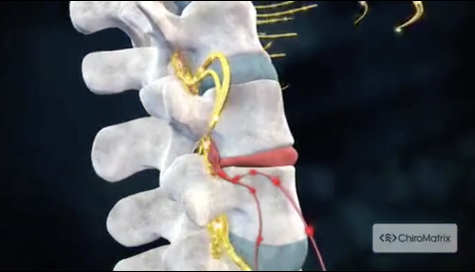 Chiropractic care - Chiropractic care helps your body move more easily and communicate with itself more efficiently. Our chiropractic in Evansville can apply an adjustment to specific joints that bring your entire musculoskeletal system back in line, improving nerve function, reducing muscle strain and optimizing joint function. Acupuncture - Acupuncture is a 4,000-year-old technique that continues to help patients with conditions ranging from sleep problems and chronic pain to systemic ailments. we can offer both traditional and needle-free acupuncture techniques. Corrective exercises - Let us prescribe the perfect mix of corrective exercises to help you overcome chronic pain or recover from an acute injury. Lifestyle, weight loss, and nutrition assistance - We can show you how to live a healthier life and give your body what it needs to stay well all the time. Our Chiropractor in Evansville Wants to Meet You! Our chiropractor in Evansville looks forward to meeting you and helping you live a great life. Call 812-402-8202 or schedule an online appointment! Everything was very well put together and organized! Very friendly and professional!! I highly recommend Dr. Jones for any and all chiropractic and acupuncture needs! !